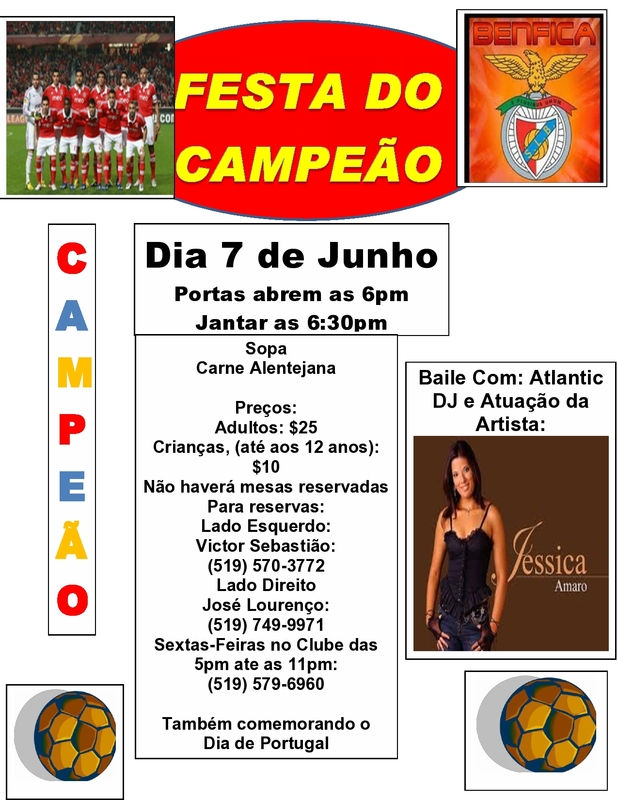 Day | Kitchener Portuguese Club Inc.
Posted in: Past News and Events. Tagged: $10, $20, $25, $5 at the door, 6pm, 7pm, 7th, 9:30pm, band, Children, Dance, Day, Dessert, dinner, Doors, KITCHENER PORTUGUESE CLUB Saturday, May, Members, Menu, Mother's, Music, Non-Members, potatoes, Prices:, rice, salad, Saturday, Soup, Steak, TABU. Mother’s Day – Sat. May 7th, 2016 – Kitchener Portuguese Club. Menu: Soup, Salad, Steak with Potatoes & Rice and Dessert. Dance music provided by the band: “TABU”. Valentine’s Day Dinner & Dance – Sat. Feb. 14th. Posted in: Past News and Events. Tagged: 14th, club, Dance, Day, dinner, February, kitchener, portuguese, Saturday, Valentines. 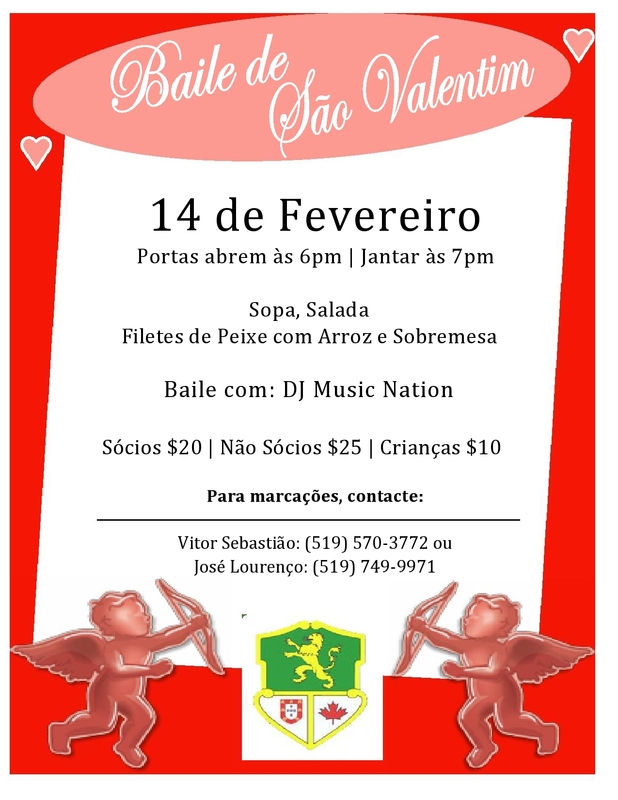 On Saturday, Feb. 14th, the Kitchener Portuguese Club hold a Valentine’s Day Dinner & Dance, in the Main Hall of the Club. Doors open at 6pm | Dinner will be served at 7pm. Menu: Soup, Salad, Fish fillets with Rice and Dessert. Dance music provided by: DJ “Music Nation”. Price: Members $20 | Non-members $25 | Children $10 | $5, only for the dance, at about 9:30pm, at the door. 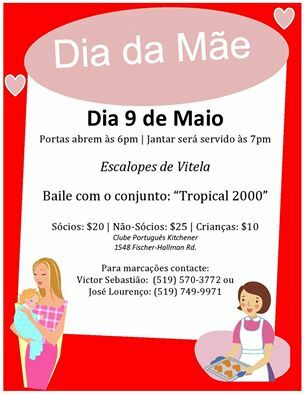 For reservations, contact: Vitor Sebastiao: (519) 570-3772 or José Lourenço: (519) 749-9971.